Palermo is hard to miss. Prominently positioned on Jefferson Highway across from Bocage, it’s a spot I’ve passed dozens of times. I’d assumed it was another run-of-the-mill Italian joint. Boy, was I wrong. A large patio is adjacent to the entrance with bistro lights and enormous umbrellas. But the road noise was deafening, so we quickly escaped indoors. The black-and-white tile floors, red and white tablecloths and servers dressed in black slacks, red jackets and bow ties gave Palermo an old-school air. Very classy. We settled in with loaves of complimentary bread. Each loaf was swimming in garlic, olive oil and cheese. Bits of sundried tomatoes helped to lessen the heaviness. As the small loaves sat soaking up the oil, they took on a richness that—surprisingly—was never overwhelming. We ordered the Artichoke Trapani appetizer. The long-marinated artichoke stems were sprightly and tender and made for an interesting presentation. Copious amounts of huge lump crabmeat dominated the plate. A scant few tiny shrimp were scattered about like an afterthought and hardly enough to share. But a mild and balanced buttery lemon sauce brought the whole appetizer together. There were no complaints, just plenty of lip smacking. 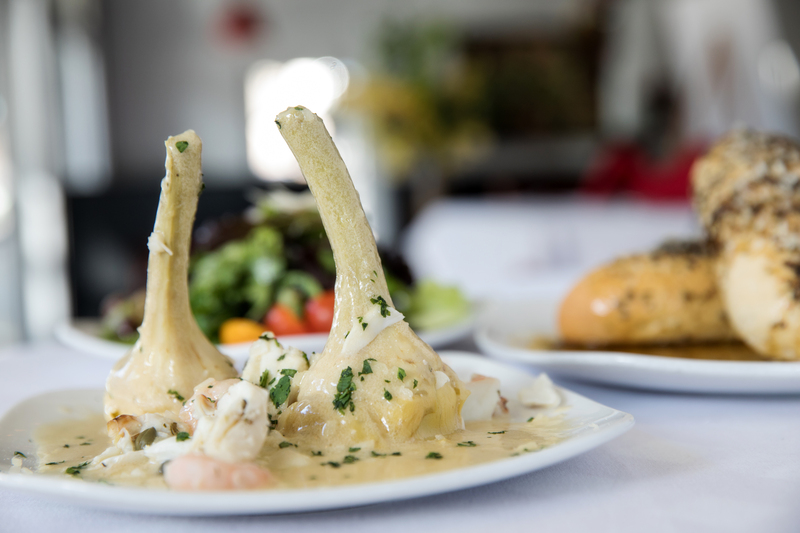 The Artichoke Trapani appetizer presents marinated artichoke stems in a buttery lemon sauce with lump crabmeat and shrimp. I’m always drawn to Caesar salads but am often disappointed by most restaurants’ interpretations. Palermo presented an admirable version with fresh lettuce, croutons, cheese and a mild dressing. A nearby lemon wedge elevated it from good to wonderful. My friend asked for a house salad, which turned out to be the king of the salad course. Mixed greens were generously piled with pickled red onions, cucumbers, artichoke hearts and colossal green olives. The house vinaigrette was slightly creamy and mild with bright acidic notes. Doubled, this could serve as an entree. For an Italian restaurant, we were surprised there wasn’t a lasagna dish on the menu. One friend at our table considered himself a lasagna connoisseur, but he had to detour to the Shrimp Mediterranean instead. It was loaded with cream, though piquant sundried tomatoes—like with the bread—helped to tame some of the richness. The shrimp were large and notably fresh. Served with linguine, this was a satiating dish. Not being a huge pasta fan myself, I was overjoyed to find fish, pizza and gluten-free options. I zeroed in on the Basilaco Style Fish with mushrooms, tomato and basil. I was surprised the fish was breaded, but it kept the meat succulent. Tart yet earthy roasted tomatoes with fresh ribbons of basil topped the large portion of fish. A buttery lemon sauce, similar to the artichoke appetizer, was a great complement to all the components. A small side of tender carrots and peppery sautéed mushrooms had bold flavor that left me wanting more. We also tried Chicken Piccata, one of my favorite Italian specialties. The chicken was pounded thin and super tender, with just enough lemon juice and capers to add perfect pungency. We found the portion size reasonable and the flavors spot on. 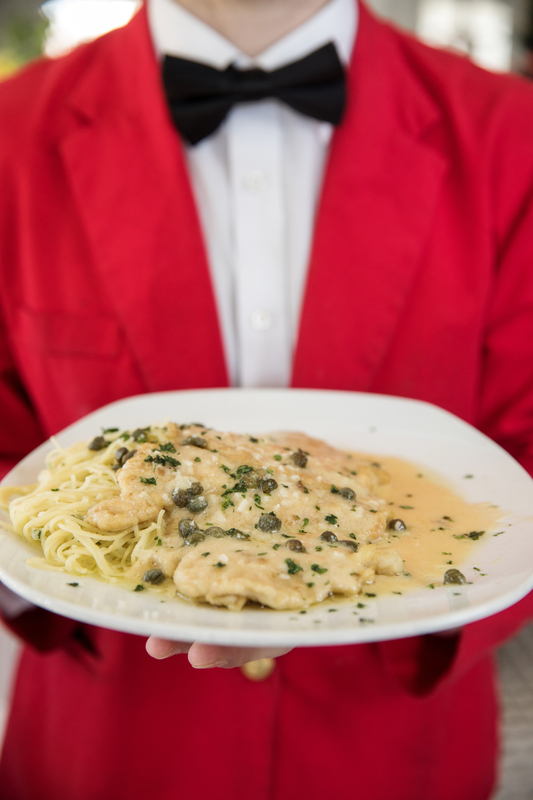 Chicken Piccata offers spot-on flavors for this Italian specialty. We were unable to decide on dessert, so we went with three options. The Amaretto Soaked Pound Cake was dense yet tender with a whisper of amaretto. Nutella, spread along the plate, highlighted the almond liqueur. For textural contrast and additional sweetness, it was dotted with crispy, sugary nuggets atop the whipped cream. The Italian Cream Cheese Stuffed Cannoli boasted a deftly sweetened, fluffy housemade filling with none of the usual graininess often found in others. I found the shell slightly stale, but the cream was so heavenly it didn’t matter. More distracting, though, was the chocolate sauce coating the plate that overpowered the delicate cream. Our final choice, Housemade Tiramisu, had a pleasantly intense coffee flavor that hit us at first bite. It gave way to a luscious mascarpone layer that could have been more generous, followed by perfectly tender lady fingers. It was clear this was homemade. When dining at Italian restaurants, I’m always concerned that it’s going to leave me bloated and regretful. But Palermo’s cuisine was light and varied without falling into the usual reliance on heavy sauces and carb-loaded pasta standards. Instead of leaving stuffed and guilty, I departed satisfied and hopeful that I would return soon. Save room for the Amaretto Soaked Pound Cake with a Nutella spread and a sprinkling of crispy, sugary nuggets. The basics: Local restaurateur Wayne Stabiler took over the former Latte e Miele gelato parlor on Jefferson Highway in 2016. Since then, it’s become a classy and traditional Italian spot for a romantic dinner or a lunch date. 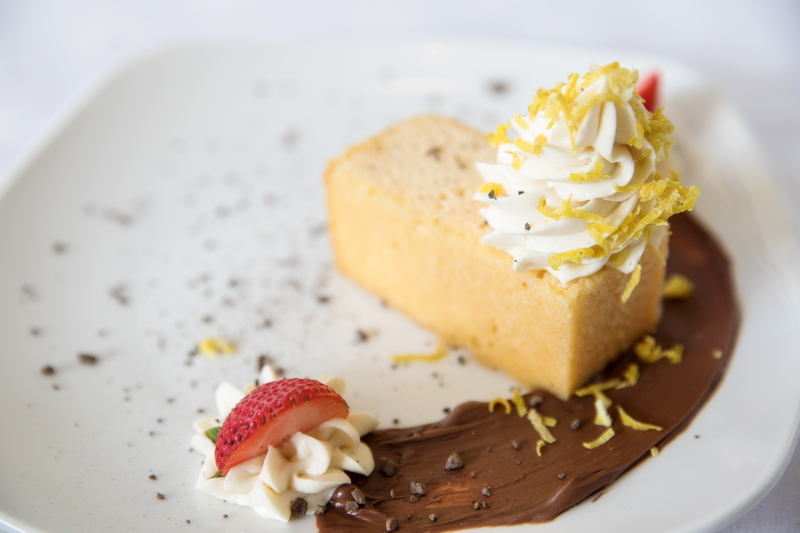 What’s a must: The Artichoke Trapani appetizer for a unique starter, the Chicken Piccata for a more familiar favorite, and end with the Amaretto Soaked Pound Cake for a delightful mix of sweet flavors and textures. Tuesday-Thursday, 11 a.m.-2 p.m. and 5-9 p.m.
Friday, 11 a.m.-2 p.m. and 5-10 p.m. This article was originally published in the January 2019 issue of 225 Magazine.